2018 boasted an epic amount of fantastic songs and even better music videos. Now that the year is wrapping up, it is time to list the top music videos of the year. There were a lot of fantastic videos to choose from, and with a condensed list of ten, we understand that some personal favorites are likely to be left on the sideline. So, without further ado, let's jump right into AIMM's Top Ten List of Music Videos from 2018! This Atlanta-based group takes you right back to the '70s with this hit song. Not only does "Walk It Talk It" feature Drake (whom you will undoubtedly see quite a bit of in this list), but it also stars Jamie Foxx. Migos leaves little left to be desired during their full commitment to bring the 1970s back to life with authentic looking outfits and dance moves. With a hilarious gameshow interlude, this blast from the past lands in the ten spot. The visuals in "Sicko Mode" are absolutely stunning. The video seems larger than life with gravity shifting, a looming eclipse in the background, and of course the graffiti coming to life. "Sicko Mode" seems to blend chaos and beauty with ease. Also, you have to love Travis Scott's affection for Houston while rocking his Astros jacket. Even Charles Homes of Rolling Stones called "Sicko Mode" the, "Citizen Kane of Travis Scott videos." Oh, did we forget to mention that Travis Scott was one of the directors of the video? With a standard this high, we expect great things from him moving forward! Mitski is certainly not "nobody" with this thought-provoking video. This whimsical video follows the narrator who interacts with faceless portraits, continually smaller diaries, and torso-less arms. While her environment is intriguing, Mitski's reactions to the world around her are just as entertaining. The connected and bizarre imagery is carefully mastered, so giving this video a second (or third, or fourth...) watch isn't a bad idea. "Nobody" bridges the gap somewhere between confusion and loneliness, and does it so well. If you didn't hear much about the vastly underreported Hurricane Maria annihilating Puerto Rico, then you can learn more about it here. This striking video, which is more like a short film, displays the injustice and lack of care in the aftermath of the hurricane. "Hurray For the Riff Raff" includes moments and images of hope and encourages to "move forward," but also includes the heartbreaking imagery of destruction. "APES**T" centers around the real-life power couple of Jay-Z and Beyonce. The duo rented out the Louvre and created an artistic and cultural masterpiece. From fantastic choreography to quick shots of paintings within the museum, this video is pleasing to watch and an example of physical art coming to life right before our eyes. From everything you see in the video to considering what it took to even create the video, The Carters make it clear they are no less than artistic and musical royalty. Instead of packing just one punch in her "Whack World," Tierra offers multiple storylines. Consider "Whack World" a hip-hop beast with 15 songs in 15 minutes. It's like eating a delicious bite-size snack, with each morsel a little different than the last. Tierra allows her whacky creativity and alter-egos to run wild from nail display art to rooms of balloons, to a floating coffin. The catchy vignettes are as magnificent as they can be disturbing. It's a little long at 15 minutes, but well worth the ride! What a surprise! Here we have Drake, again. This time, he brought some friends with him. These friends being countless celebrity women that include Olivia Wilde, Rashida Jones, Yara Shahidi, Issa Rae, Tiffany Haddish, Emma Roberts, and more. "Nice For What" is intended to empower women and encourage confidence. It delivers wonderfully. The video encapsulated happiness and freedom and was even directed by a 22-year-old Karena Evans. With the assistance of social media, Ariana built a significant amount of hype before her "thank u, next" video dropped. It did not disappoint. With nods to early 2000 flicks such as Mean Girls, 13 Going On 30, Bring It On, and Legally Blonde, Ariana is able to create something completely new yet pull at the nostalgia strings in our hearts. Ari even recruited some of the film's original actors to cameo in the video. Also, if you like hunting for easter eggs you'll want to give this 5-minute video a couple of re-watches. Directed by Rian Johnson (Star Wars: The Last Jedi) comes a gripping narrative of time and love that is blended with beautiful cinematography. From the initial get-go with the music and synthesizers matching the quick pencil jots, "oh baby" has you immediately hooked. 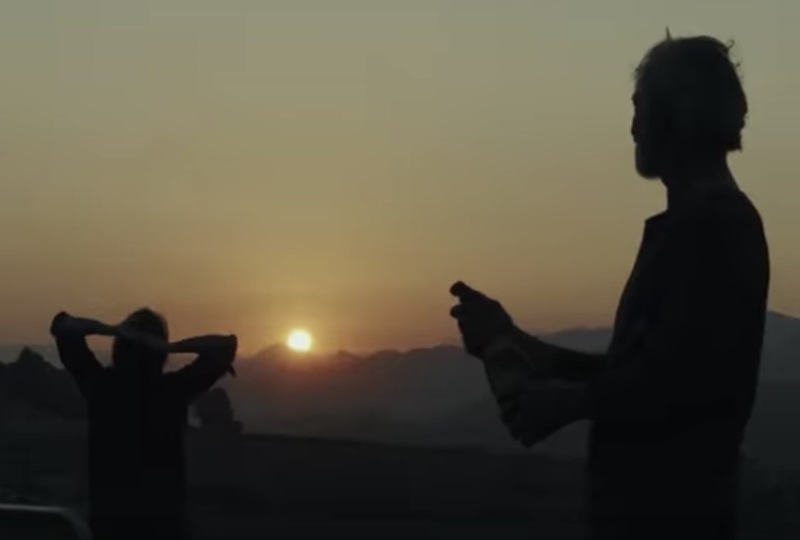 With subsequent dusk shots and elapsed time shots of constructing a time machine, the science fiction video centers around an older couple in love and bounces from exhaustion to victory to heartbreak. If you want to get lost in a world for 5-minutes and desire to remember the pang that only heartache delivers, give this fantastic video a whirl. When it comes to sparking controversy and conversation, no music video quite accomplishes this feat as well as Childish Gambino's "This is America." The provocative video begins with a shirtless Donald Glover dancing smoothly on-screen. However, horrific events such as shooting a man in the head and obliterating a black choir soon occur. All the while, Glover remains dancing as if he doesn't even notice or care what is happening. "This is America" takes a hard stance on gun violence and the perceived lack of care it receives. Violence runs rampant in this video and whether you stand on the "shooting and death depiction is over the top and not necessary," side or the, "he is bringing light to an important social issue" stance, "This is America" has people talking and thinking, which is incredibly powerful and what art and music is intended to do. Onward to More Music Videos in 2019! That concludes our list of the Top 10 Music Videos of 2018. Did we hit home for you? Are we crazy? Did we forget your favorite music video? Are you interesting in building a music career that may one day lead to being in or working on a music video? 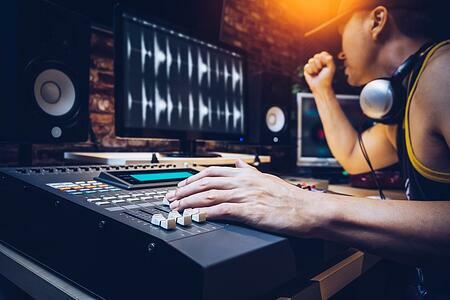 The Atlanta Institute of Music and Media offers an Audio Post Production program, Music and Technology Associate Degrees with focuses in Guitar, Bass, Drums, Voice, or Keyboard, and Certificates in Guitar, Bass, Drums, and Recording. Whatever your musical aspiration is, AIMM has the fast-track for you with excellent professors and state-of-the-art studios. Click the link below to learn more about AIMM and our programs today!